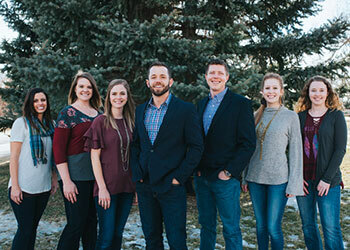 Rapid City chiropractor, Dr. Zak Alfstad, would like to welcome you to Vital Life Chiropractic. Dr. Zak offers natural healing solutions for the entire family. Chiropractic care is beneficial for people of all ages. A properly aligned spine allows the body to function at its peak level of wellness. Dr. Zak utilizes hands-on chiropractic adjustments to be able to provide gentle, effective care. People seek chiropractic care for many reasons. Perhaps you are looking for pain relief, wellness maintenance, or are tired of masking symptoms of disease with medications. Chiropractic care of the experienced and specific hands of Dr. Zak may help your body function at its full potential, free of nerve interferences caused by subluxations. Why not give your body the opportunity for peak vitality? Dr. Zak has had over 150 hours of conference training on the Gonstead chiropractic technique. He is the only Gonstead chiropractor in Rapid City and one of only a handful in the 5 state region. The goal of Gonstead chiropractic is to get you functioning better as quickly as possible. We use no adjunctive services to help speed or slow the process of what your body can naturally do for itself. 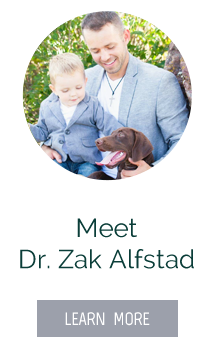 Dr. Zak has a passion for providing natural healing options for children. It is easy to get into a cycle of prescription medications, pediatricians and specialists to treat what is ailing your child. Chiropractic care offers a natural solution for treating many symptoms and conditions. Subluxations cause interferences with nervous system flow and your child’s body is not able to fully function to its potential. 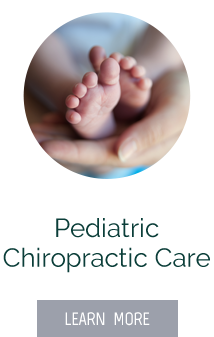 We will care for your children as we do our own, with the best care possible. Is your life full of vitality? It’s time to contact our office and let Dr. Zak help you get your life back on a healthy track. Excited to be a part of the Vital Life family! I am SO excited for Dr. Zak to help me, because I believe he can. His wholeistic overview of how the body works will be able to help me in ways modern medicine cannot. I am excited to receive help where i thought there was none. Thank you SO MUCH to Dr. Zak and his whole staff! I am looking forward to working with you. It can be “boring” to receive an all excellent review but that truly reflects my first and all subsequent visits! It is not only been a physical relief to receive help for my pain but also an emotional relief of all the stress of dealing with it – Thank you! Dr. Zak was a very energetic and pleasing person to meet. His staff is friendly and knowledgeable. I have never had such a thorough chiropractic exam. I am confident that I will be able to have my issues taken care of. I started seeing Dr. Zak for lower back soreness and tightness which I had felt for months. The symptoms were severe at first, but I noticed major improvements within weeks of getting adjusted. I’ve had great results with the issues I came in for but also my sleep has improved significantly. I would definitely recommend chiropractic to others who are sick, suffering, or in pain. Great Chiropractor! I love feeling so good when my appointment is over and not feeling beat up, yet feeling and knowing everything is back in place. Dr. Zak has put me back together after multiple injuries and I am so grateful. Great ! Keep doing what you’re doing. Love the enthusiasm of Dr. Zak and the staff! I felt right at home and at ease! The staff are so enthusiastic and eager to help. They truly want you to know how they work and what the process is. I have been to more doctors than I can remember over the last several years and it is very rare to have one take the time to listen, spend more than a few minutes examining and investigating your situation. I so appreciate Zak and the folks here. After months of pain in my shoulder and after one appointment I have no pain! Dr. Zak has changed my life! When I began seeing him 18 months ago my blood pressure was very high, I had vertigo and my neck and back pain caused chronic headaches. Now my blood pressure is normal, my vertigo is now under control and my neck and back pain is gone. All this relief with no medication. Keep up the AWESOME job you all do! Everything was fantastic! I can’t wait to start this journey with you guys. Finally, an appointment that I don’t dread going to! Getting adjusted helps me ride better and recover faster. I try to swing in to see Dr. Zak whenever I am on my way to ride. I do this because I know and feel that I react faster and my body feels more fluid in its movements when I am on a bull. I’ve been injured less often than before I started chiropractic care.